The John Carter of Mars series of novels (created by American author Edgar Rice Burroughs) were first written in 1912, at a time in history when the nation was facing immense challenges, including game-changing advances in technology and the looming specter of world war. 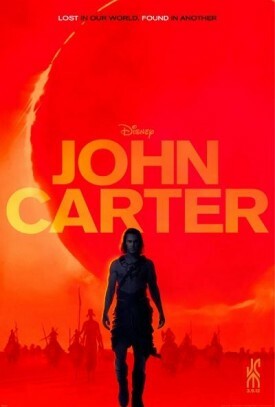 John Carter himself (the protagonist) is a Civil War veteran, a man whose past is defined by conflict and whose future will hold more of the same. Rice Burroughs’ adventure novels are escapist fun, but they are also surprisingly adept at showcasing how the differences between groups of people can be divisive, but yet also beautiful and somehow noble in their honest brutality. Survival of the fittest comes to life as cartoon-like alien races battle it out for the rule of the planet of Mars. 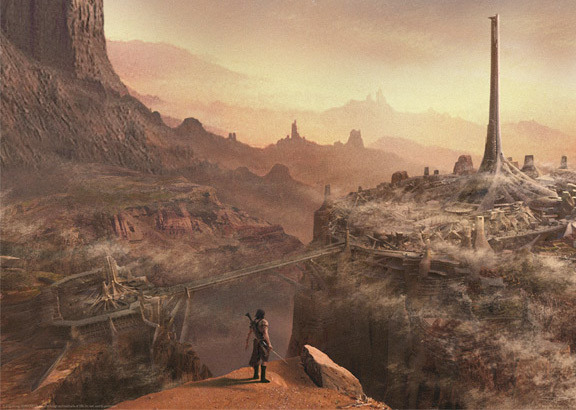 John Carter, Disney’s mega-epic film version of the first book in the series, A Princess of Mars, is being released on the 100th anniversary of the creation of the character. Why they left the “of Mars” out of the title will become obvious once you see the movie, since Taylor Kitsch’s bland character, while not awful, is the least interesting thing on-screen. Maybe the citizens of Mars didn’t want to claim him. 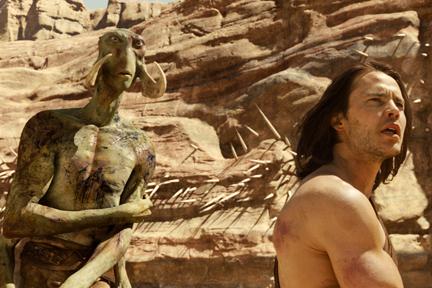 John Carter is directed by Andrew Stanton, who is best known for his animated films WALL-E and Finding Nemo. 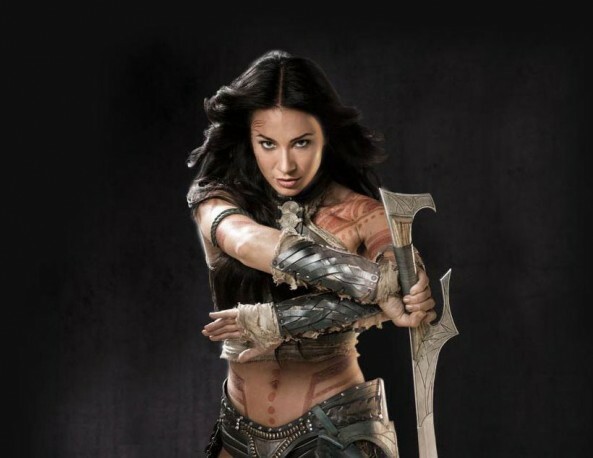 A movie based on the John Carter novels has been floating around various Hollywood studios for decades, but this is the version that has finally made it to the screen. Mars, to the people who live there, is actually called Barsoom. Barsoom is in the midst of its own civil conflict between the Zodagans and the Heliumites. The Zodagans are the proto-typical despots of the story; they are controlled by the mysterious Matai Shang (the versatile Mark Strong), who has interesting origins and a murky agenda. The de facto head of the Zodangans is Sab Than (played by a scenery-chewing Dominic West). They live in a teeming but impersonal metropolis that is a marvel of digital awesomeness; it is able to move across the desert landscape like a giant spider. The Heliumites are represented by Princess Deja Thoris (Lynn Collins) who is not your average damsel-in-distress; this babe is also an engineer, scientist, warrior and a poet of sorts, making some of the movie’s most ridiculously overblown lines sound close to believable and (in some alternate universe) borderline Shakespearean. Luckily, Collins is a talented actress, since she’s saddled with delivering most of the voodoo science jargon that attempts to explain why John Carter is able to be present on Mars in the first place. John Carter (a bland and mostly half-dressed Taylor Kitsch) earns the enmity of the Zodagans by rescuing the princess (who would rather run away than marry Sab Than; you can’t really blame the girl) and rapidly choosing sides in what is essentially a power struggle between opposing races. Although the Zodangans and the Heliumites form the center of the story, the various other races of Barsoom (including the marvelously green Tharks) steal the show with their CGI’d wonder. John Carter is mystically transported from one useless war into the center of another, but at least he gets to develop some nifty super powers thanks to scientifically impossible gravity issues. This puts him on a more even playing field with the people of Mars (at least physically). Still, Carter’s noble intentions are merely a reflection of his own past experiences. The conflict on Mars becomes as much a part of him as his Confederate roots. Pride and nationalism are universal, after all, even if one is a green and hulking alien. There’s also the heart of the interesting Deja Thoris to consider, as well. At its heart, John Carter has more in common with the pulp joy of Flash Gordon than the overly trite diatribes of Avatar (with which it will no doubt inevitably be compared) or the slick and innovative moral depths of Aliens or Blade Runner. That’s fitting to the source material. If you appreciate John Carter for what it is (a 1950s-style ode to B-movie, pulp sci-fi with amped up effects), you’ll probably have a much better time at the theater. There’s a fine line here that the cast and the script walks; sometimes there are moments and scenes that veer into the realm of cheesy rather than nostalgic. Luckily, the supporting cast (led by Collins, Strong, Samantha Morton, Willem Defoe, and a mini-Rome reunion of Ciaran Hinds, Polly Walker and James Purefoy) is strong enough to carry the story forward when Kitsch isn’t scowling or looking stoic. 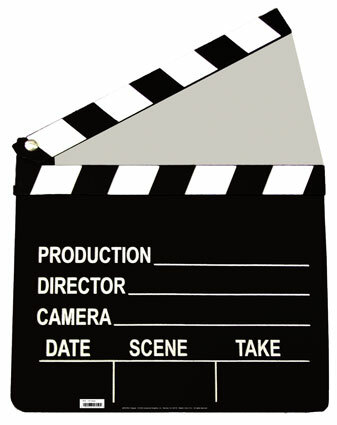 What John Carter has plenty of is action. It’s fun if you aren’t expecting your Mars adventure to come with a side of art house depths. Don’t look for anything more complex than childish wonder and harmless gasps, and you’ll be all set.